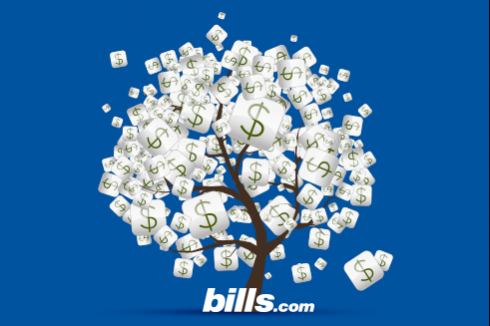 What is best debt consolidation option for us to get rid of our $20k in debt? What is my best debt option to consolidate our $20,000 CREDIT CARD DEBIT. We have$160,000 in our 401K and approximately $10,000 in other IRA accounts. We own our home, appraised @ $250,000, OWE $120,000. Have $5000 cash. What is best way to get rid of the debt. Would not like to use 401K or draw equity from home. I am 50 years old. I earn 65,000 per year and spouse self employed in construction. Please help me out Bill! There is no one size fits all best debt option. First, try to refinance your mortgage and get the best rate in the marketplace. If you are struggling financially, decide if credit counseling or debt settlement is best for your situation. Thanks for your question on dealing with credit card debt and how to evaluate the best debt option. There's no one singular best debt consolidation option for all consumers, but in your case you definitely have some options since you own your home with equity and have significant value in your retirement accounts. First, regardless of how you choose to repay the debts, I would recommend that you pull the equity from your home with a refinance loan rather than taking the money out of your husband’s 401(k). The penalties associated with pulling money out of the 401(k) early rarely justify the benefits. The one exception to that is if your company sponsored 401(k) allows for a 401(k) loan against a portion of your account value, since these are frequently low interest loans and much cheaper than your credit card interest rates. As you mention in your question, there are significant penalties associated with drawing money from a 401(k) prematurely, along with an increased tax burden, which leads to most people losing around half of their money in penalties and taxes. Clearly, taking money from the 401(k) should be your last resort. To borrow money against your home, either through a home equity loan or a refinance loan, you will be required to pay lender fees and closing costs, along with interest, but these costs should be significantly less than had you borrowed the money from your 401(k) - and the interest is tax deductible. Credit counseling is a program that enrolls you on a debt management plan ("DMP") which usually allows you to qualify for a concession rate from your creditors for lower interest rates and lower payments. The plan should include reduced interest rates, lessons in budgeting and money management, or a comprehensive debt management program. Debt settlement services offer to negotiate and settle your debts for less than you owe, many times reducing debts by as much as half. Debt settlement is an option for people who cannot afford their monthly payments, and who are not worried if their credit rating will be negatively impacted during the program. It's important to be aware that you are NOT making monthly payments and staying current on your debts while enrolled in a debt settlement program, so be aware of the credit impact and the potential collection harassment from your creditors. I wish you the best of luck in resolving your accounts. I hope that the information I have provided helps you Find. Learn. Save.